Dear Readers! I really appreciate your time to visit my website. My heart goes out to serve people when it comes to buying or selling a home! Over a decade in the business I have received some wonderful comments from my past clients. It is a wonderful experience and a great feeling of accomplishment to help people find their dream home in this challenging and changing market. I appreciate your business and I want to be of service to you always in future when it comes to selling or buying a New Home for you, your family or friends. Please take a moment to read the following client feedback. Phone numbers or emails are available upon request. Thanks again and I do look forward to helping you, your friends, relatives and colleagues in the future. Please remember me it comes to buying or selling Real Estate at www.AnnGupta.com. Ann is extremely driven and passionate about real estate. She has very good knowledge about the current market situation and coupled with excellent business connections, she gives the top notch service with ample hand holding. She is energetic, honest and hardworking who understood our work and family situation/needs and made herself available to support us given our schedules. She is very meticulous and very detail oriented when it comes to paperwork. Ann helped us find our first home in 2013. Recently, in June'2015 we decided to sell that home and since we were happy with her efficient working style we approached her to represent us as sellers. With her great business skills, she negotiated our sale very smoothly. She helped us to finalize the deal in a timely manner and also found us our long term home very efficiently. She was extremely knowledgeable about the areas we were looking at and worked with us buying us a home within our budget. She showed us places that met our main needs and wants. She gave us frank and honest opinions on inappropriate homes we looked at. She was there for us at every step of the process offering the correct support and advice. I highly recommend Ann Gupta as an outstanding agent: from a seller and buyer perspective. Ann is a spectacular, caring, diligent, and thorough Real Estate Agent, who treated us as her family and took care of our needs at every step of the way. This was the second time we requested her to help us out in search of a new home, and first time Selling, with her help as well. Ann guided us through every step, and had our best interest in each aspect and was able to give us the true facts and help in making a sound decision with her expertise. Ann is one of the most committed, sincere and hard working professionals I have met. She helped us buy our first house in the US and she was very methodical efficient and helping in the process. 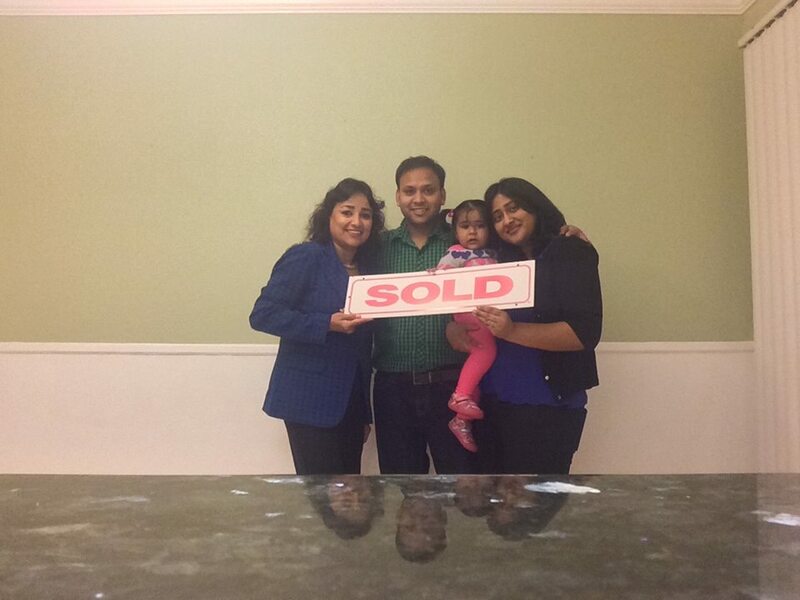 She helped us find the right house at the right price which suited our needs and met our budget. I would recommend Ann to anyone who is looking to buy/sell real estate in the bay area. She is definitely an asset to all her clients. With Ann we felt like family, her suggestions were always in good intentions. Me and my husband never felt like client agent relation. She is extremely detail oriented, focused, dedicated to her profession. She is an absolute delight to work with. She will always looks out for her client's best interests. She was always professional, punctual and she was very easy to work with. She has a great energy and ethic, and is genuinely enthusiastic about her work. 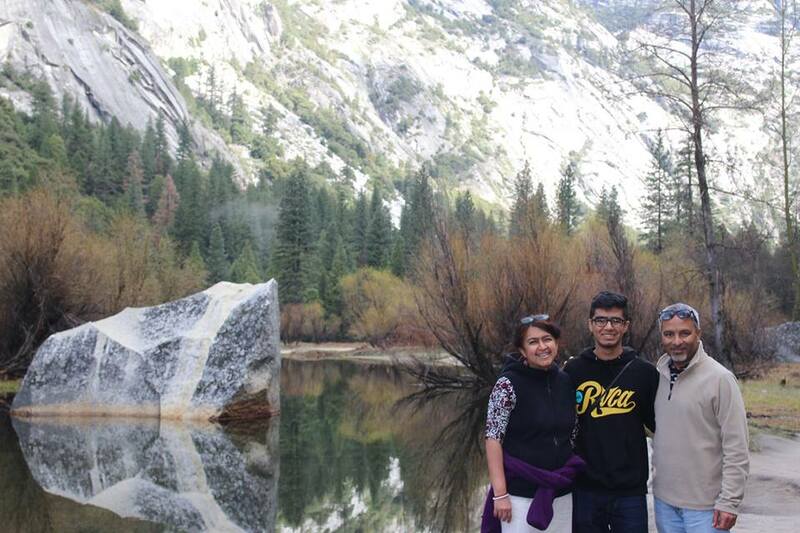 My husband, Abhi and I had the privilege of working with Ann. She helped us buy our first home. Her professionalism, passion and dedication is tremendous. As first time buyers, we were very nervous and we had a few hurdles along the way. Ann handled it calmly and with great dignity. When it comes to the paper work, Ann is nothing but a rock star. We had the pleasure of working with Ann for our first home purchase. She is extremely professional and knowledgeable in real estate domain and works tirelessly towards the best interest of her client. Right from setting up search criterion to open houses to writing offers, there are so many moving parts in the process that it is easy to get overwhelmed. But Ann is always on top of every step and her calming and friendly demeanor puts you at ease as she guides you in a proficient manner. She is very efficient, adept and meticulous with the paperwork and has an incredible network. She builds rapport with everyone involved in the process and makes it point to follow through on every detail with the seller's agent. I highly recommend Ann and wish her many more success and happy customers. Thank you Ann, for being there with us at every step that we took for buying our first home. It was a memorable experience. She was very thorough with the paperwork, professional and at the same time always had our best interests in her mind all the time. Wish you all the very best in every endeavor of yours :) Kavitha nd Ram. If I were to describe Ann in a single sentence, it would be: Ann is a dedicated, hardworking, reliable and extremely professional person who always has her client's best interests in mind whether she is helping you buy or sell your home. Ann has guided us through three real estate transactions, both buying and selling residential properties. As a buyer's agent, she did a very thorough job of understanding our needs and then finding properties that fit. It made the screening process much easier for us. She was also very thorough and quick in lining up various inspections and keeping us posted of developments, and negotiate on our behalf. We trust her completely! As a sellers agent too, I was not surprised to find that she did the same thorough job in evaluating and prepping our house so that we could make a successful sale. It did take a bit of work to get the house ready for the market, and Ann helped keep an eye on any remodeling work we undertook. She always made herself available to meet with us for anything. If the work was not up to par, she helped make sure that it was redone to satisfaction. She even staged the house for us so that it showed beautifully. Our home stayed on the market only for a few days and we received multiple offers over asking. During the escrow process, Ann helped keep an eye on the required paperwork, making sure that there were no errors and that all parties involved were on top of things so that agreed to deadlines could be met. Buying or selling a home is a big transaction in our lives and having a trusted, thorough and go-getting agent by your side is a must. I highly recommend Ann to anyone who is looking to buy or sell a home! Ann is a phenomenal agent, and one that I highly recommend. We were so pleased with her attitude and dedication that I recommended her to my friends, and will continue to give her name to anyone I know that might be looking to buy in the Bay Area. Unlike other real estate agents that I have worked with, Ann truly has the best interest of her clients in mind. She is patient and never pushes her clients to make choices just to get a deal done. But Once you make an offer,...Man!!! she works like a machine/ follow ups and everything...making sure the paper work on the mark with care and diligence.I had fair amount of travel during the process, in my absence, Ann was great at working with my mortgage broker, and she did everything possible to make sure that the deal worked out, even with an accelerated close and dealing with all the inspections. Ann is such a pleasure to work with and really went the extra mile to help us find the perfect home. She is knowledgeable about the current market and about the whole process of buying a home, and gave us peace of mind that no stone was un turned. It did not take much time for Ann to understand our needs, lifestyle and exactly what we were looking for, so we wasted very little time looking at inappropriate properties. She is very savvy when it is time to make an offer, by giving the comps, making rapo with the selling agent, an edge needed to compete, and finally purchase, the best the market had to offer us in our price range. I strongly suggest you use Ann's services. She is competent, friendly, easygoing, and professional. We will not hesitate to work with her again! We wish her many more success and happy customers. Thiru and myself would like to express our heartfelt gratitude for Ann in helping us to find a perfect house. Without Ann's advice and guidance, we would have never gotten this wonderful house.Ann is incredibly great ! Ann is extremely professional, responsible, dedicated and patient. We just cannot say enough about the positive experience was with Ann. We were the first time home buyers, Ann helped us understand all the real estate procedures and details. Throughout the process, we felt that Ann had our best interests in mind. Ann went truly beyond our expectations. Being more than a realtor, Ann was a family member. Ann is easy to work with, many times she was available to meet us at a short time to match our schedules. It's our pleasure working with Ann. We recommend to all our friends and neighbors to get their dream house with Ann Gupta! We sincerely thank Ann for her valuable time, hours spent on showing us many open houses and driving by the community and neighborhood. Ann was very patient in every aspect of home buying process.We proudly admit that with Ann's invaluable source of knowledge and advice, we got a perfect home. 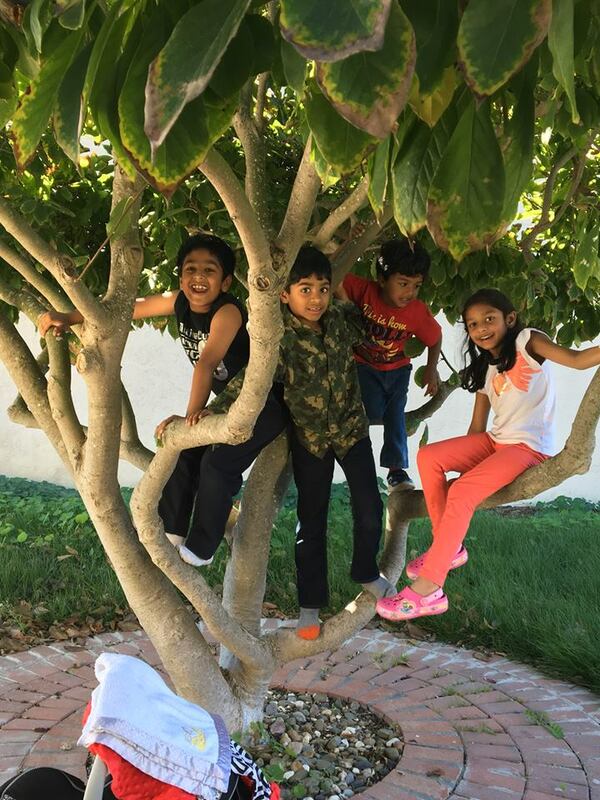 We are happy in our new home and our children are happy with highly competitive Mission Schools." Details of the Recommendation: "My wife and I had the pleasure of working with Ann in our search for our first house. She was not only extremely professional and knowledgeable, but she spent countless hours guiding us through the search and purchase process. Thanks to Ann's negotiation skills, we were able to get a great deal on a house in our target neighborhood." Details of the Recommendation: "Ann was highly recommended by my relatives when I decided to start looking for my first home. She was very hard working, and took a lot of effort finding the right properties to look at. I was represented well during the purchase of my house, and she put in a lot of effort to make sure that my questions were answered. She was thorough about her paperwork, and made sure that things happened on time. I give her a lot of credit for making my home buying experience stress free and smooth. I highly recommend her." I will keep in touch with you in the future, and think about you first if any one I know want to get a house. Details of the Recommendation: "Ann is a very driven realtor, who is extremely thorough with her work. Her dedication to her clients and understanding of their needs is her strongest quality. Home buying can become a very frustrating experience, but with her hand-holding the clients through the process makes it a very enjoyable experience. It has been a pleasure working with her. Thank you Ann"
“Ann is one of the most hard working, genuine and thorough individuals I have met and worked with. This was my first time going through the process of buying a home, but it was truly a blessing to have the guidance of Ann through the entire process. From day one, she has worked with me with integrity and sincerity to find the best home that fits my budget and that will be a home fitting for our lifestyle. With her detailed work ethic and expertise, I was guided throughout the process in seeing homes, making offers, purchasing the home, and closing the escrow, without missing any component. Thanks you for your professionalism throughout this house hunting expedition of mine. Your expertise made me feel like I was definitely in good hands. Thanks to your tenacity and vision you made everything so much easier. You work so many hours away from your kids and spouse, but I was able to see that you were there for them too. Such POSITIVE & PROACTIVE attitude! I was lucky to have you on my "team"
I like your enthusiasm. You are way qualified for your job. You are a Damn good agent! You are very professional and thorough agent. We had five offers on our home.When you did your presentation for your buyers, we felt very confident accepting your offer on our home even though we had a higher offer. We knew our deal will go through and close. Hearty Congratulations !!! Without knowing anything about your professional skills I entrusted the task to you because you are a dedicated volunteer in our organization serving for the good cause. However, what I got in return for my faith was beyond my imaginations. You worked really hard and went above and beyond what is expected from a real estate agent. In this tough housing market the house could sell within a week because of your positive attitude, confidence, exceptional staging skills and top notch professionalism. I will have no hesitation to recommend you to anybody who wants to get their house sold quickly for a good price. Throughout the process you stayed on top of all the little details. There were challenging stressful situations but you handled them very efficiently. Please accept my sincere thanks for all that you have done for us. May God's blessings be with you and your family. Pranams. I would like to take this opportunity to formally thank you. If it wasn’t for you, our dream of buying a house in the Mission area wouldn’t have come true. I’d like to take a few moments to thank you sincerely for all your time and efforts in helping me purchase my first home. The entire process would have been immeasurably more difficult, time consuming and frustration had it not been for your patience, integrity and focus. Your dedication to your business and to your clients is beyond commendable. It is exemplary. It is truly a rare person that not only espouses such high-minded values as honesty, honor and diligence, but also so internalized them that these qualities show through in their lives, their work, their very being. I am truly honored to have met you and worked with you towards this common goal. recommend you as a Realtor to any and all friends, colleagues and relatives that express even the slightest interest in purchasing a home. I hope that this letter, and any clients that I send your way will at the very least begin to express eternal gratitude. In order to fully illustrate the magnitude of Ann and what she has to offer her clients as a Realtor, I must start at the beginning of putting our home on the real estate market. We interviewed four agents in January of 2009. We had decided to change realtors when Ann came to show our home on the last weekend in October 2009. When Ann approached me with her client in my front yard, she introduced herself to me with a firm, confident handshake and a warm smile on her face. I showed Ann and her client into the house and I listened in amazement as she took him through each room. She described the quality, size and added upgrades as if she were selling her own home. I got so excited that I called my son-in-law who was in the relocation business and asked him to interview Ann for me. When he called me back he said, “She is the one”, and he set up an appointment for us to meet the day after our previous contract had expired. This began what has developed into a life long relationship. However because Ann’s professional knowledge and expertise comes first in her real estate sales she needed to be truthful with us as to what was lacking in the way we had staged our home. Everything Ann told us made complete sense and so we began re-staging our home at once. In this new work project Ann did not just tell us what needed to be done, she worked side by side with us on a daily basis. We went to the paint store, with pillow shams in hand, and picked out paint colors for “accent walls” for every room of our home. We went to the furniture rental stores to pick out furniture that would make our living room look larger. And Ann even bought pictures for our walls to compliment the furniture. She also brought several accent pieces such as candles, canisters, table cloths, small accent tables, lamps, towels, trees and throws, from her own storage to compliment every room of the house. 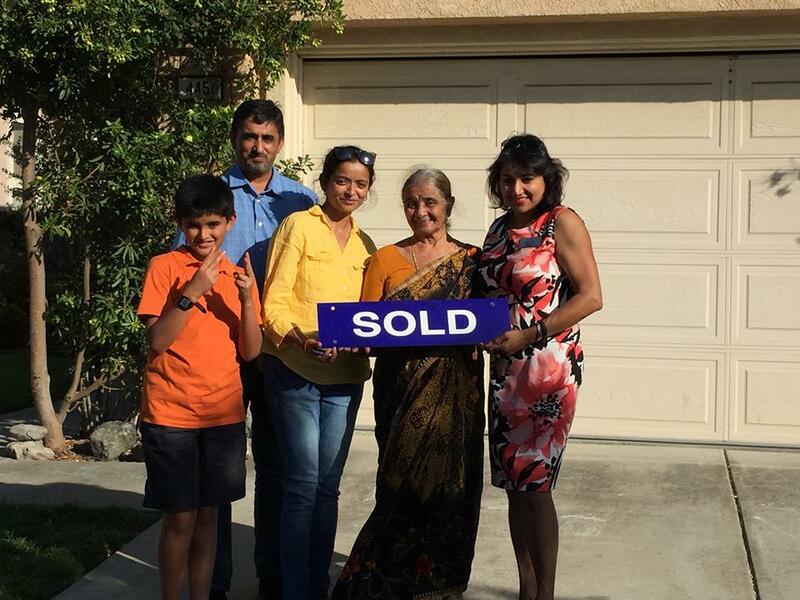 Ann Gupta made our 40 year old home look like a brand new model home and within two months we had a buyer. This is where the fun ended and Ann’s emphasis on detail, negotiation and never tiring persistence, kicked in. Ann kept us on the correct audit trail of the contracts and necessary documents that needed to be kept current and flowing so we could close in a timely manner. Ann kept us all in on the same page and up to date, coordinated with the Title Company, and also kept our mortgage broker and realtor for our new home in the loop. Ann is a real fighter for her clients and a stickler for correct procedures and policies in real estate sales. We highly recommend Ann Gupta as an honorable Realtor. “Ann is simply great! She is committed, extremely efficient and is always ready to work late hours for her client's sake. She is friendly and very easy to work with. She made the whole experience smooth and never let us feel overwhelmed by the process as we are first time home buyers. We never felt pressured to make a decision throughout the transaction period. She was very patient and would answer our endless questions in detail. She is diligent and proficient. She was very transparent and would provide us with all the information. She patiently showed us several homes and helped us immensely to find the right one for us. 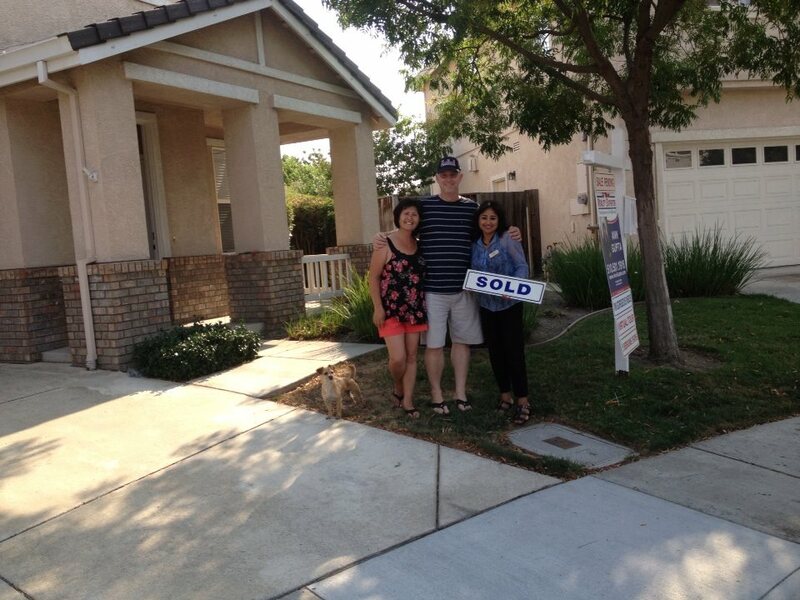 “Thanks Ann for helping us to buy house in Fremont. She worked with a lot of professionalism and understood our requirements. This experience was different from our earlier purchases as we were buying a foreclosed property as an investment. She managed it well and close the transaction smoothly. She was very approachable and had deep knowledge on this type of transaction. We appreciate her support even after the purchase. We highly recommend Ann Gupta for anyone who is looking to buy or sell homes. That's just your way, and that's what makes you so WONDERFUL.Thanks for being Just that way! Thank you for making the sale of my condo so much easier with your expertise and professionalism. I noticed that you had even helped the buyer's agent getting organised with all the paper work & everything. Just wanted to send a thank you note and emphasize how much we appreciate all that you have done for us as we step into our first home ;-) We have always heard from our friends and colleagues how painful & stressful the home buying experience can be and we had always dreaded getting into that process. Now that we have successfully closed the deal and look back, it was such a smooth experience for us, thanks to your energy, hard work, knowledge, attention to details, following up, ethics, being always there, and we can go on and on. "Ann is an excellent agent who goes out of her way to give the best service possible, while at the same time having a deep knowledge of real estate. She helped my wife and I find our home in 2007 and was great every step of the way. Now that we are back in St. Louis and have settled back into our normal routine, we appreciate even more than when we were in the Bay area what a critical role you played in helping us buy our condo there. We were impressed by your competence and professionalism. You were well-informed, resourceful, and always reliable. You were also incredibly hard working. Many thanks for being our real estate agent. One thing is clear, you really like your career as a real estate agent. You are warm and cheerful and optimistic. You have a very nice private office. Privacy for all conversation and telephone calls. No interruptions. You have a printer and computer and all the forms at arms length. The title company is located in your office. Overall, your office has an excellent ambiance. We were very focused, quick decision makers and closed the deal very fast. You were very efficient and quick in scheduling all the inspections. You have a good network and all of them think very highly of you. You are very professional in not taking cell phone calls from other clients and giving undivided attention to us. You were very thorough with documentation. Our ISO 9001 inspector would not have found a violation!! I think we negotiated a good price. I was happy with the offer that we ironed out. You were correct in judging the market and the sentiment of the buyer's. This is my unbiased feedback. Thank you for a great job. You will have our business to count on when we decide to sell the house. Keep in touch and we will see you at the house warming. Thanks you very much It's been a pleasure. You've been very helpful and you are very pleasant to work with. We enjoyed working with you. I believe Ann Gupta with Realty Experts in Fremont would be a phenomenal addition. She is smart, energized, organized, and approachable. She has great follow through too. Recommended by a REALTOR for a board position at the Bay East Org. I wanted to say again how much I have enjoyed working with you. You are a true professional and hopefully we will one day do another transaction together. Details of the Recommendation: "Ann is simply great! She is committed, extremely efficient and is always ready to work late hours for her client's sake. She is friendly and very easy to work with. She made the whole experience smooth and never let us feel overwhelmed by the process as we are first time home buyers. We never felt pressured to make a decision throughout the transaction period. She was very patient and would answer our endless questions in detail. She is diligent and proficient. She was very transparent and would provide us with all the information. She patiently showed us several homes and helped us immensely to find the right one for us. She makes sure to follow up with the seller's agent, she looks out for you and makes sure you get what you want. She is very competent and extremely knowledgeable and knows in and out of the business. She is punctual and is constantly in touch via phone or email. We were very happy with the quality transactions and Ann played a crucial part in making our first buy a very pleasant experience. We would highly recommend her." Thanks a million Ann, would not have been possible without you. Thank you for going out of your way to have the info from the seller for the tax credit. My sisters and I want to thank you for your delightful help in selling of our parents home. You were always so pleasant and sensitive, it made the potential difficult situation easier. It is with two enthusiastic "Thumbs Up" that we recommend you to any other potential clients out there. It is a rare thing to find a Realtor skilled in service and gifted with care, what a good combination! We always remeber you. We love our home on 318 pagosa. very happy here. We will finish our 10th year in this house! Can not believe it. You have been so lucky for us. Did not ever imagine how time flies by. 10 years of our relationship. Keep up the good work! It gives us a great pleasure to write this letter in appreciation of services rendered by our real estate agent Ms. Ann Gupta. She was just Fantastic in her involvement and manner of working with us during the purchase of our home in Fremont. It's important to note that we did not know Ann personally before though she came recommended to us from a friend. Being a first time buyer we were quite nervous when we started the process of buying a house. Ann helped us through the process literally Hand Holding us all the way. We can attest to the fact that she is honest, diligent and hard working and extremely enthusiastic and perseverant at her work. Her expertise in the Fremont area helped us while considering properties in terms of location. schools condition etc. Ann was easily reachable, returned our calls with detailed messages and gave good pointers to information when we needed it. She was also very good at keeping all the parties involved informed of the latest developments as things progressed once we were in contract. In fact she always she was a step ahead which helped us when working within tight deadlines. Finally, her warmth and understanding helped us keep our cool and made our house purchase a smooth process! We would wholeheartedly recommend her services to anybody looking to buy a house in East bay. You are a fantastic REALTOR and we will highly recommend you. You came recommended to us by our friend. We interviewed three or four Realtors. You were very organised and thorough in your presentation. You did what you had said. Many realtors don't do half the things they promise. However you did what you had told us. We are very happy with your services. You are a very good REALTOR!! You are great to work with. You were very thorough in your work. I learned a lot from you. Everything was on time and very smooth. Hope to work with you again. Hello! We feel great happiness and pleasure to write this note of appreciation on the wonderful job Ms. Ann Gupta did in finding us the house we truly liked. She is the most ENERGETIC person I have ever worked with. She is extremely THOROUGH in each aspect of her findings about the house. She worked with us day & night without getting tired for 7 months until we settled in the right house. We can wholeheartedly say she is very HONEST, FRIENDLY, and most of all VERY HARD WORKING. We never had a second doubt about her work. She made sure every single DETAILS regarding the transaction is WELL HANDELED.. We highly recommend Ann Gupta to anyone whether they are first or second time buyers or sellers. If anyone needs reference about her we would gladly like to give her. Two thumbs up for Ann Gupta and her wonderful service. We are in our house being happy about the decision to go with ANN. phone # available upon request. We want to express how grateful we are for your devotion to making the process of selling our home so painless. Our home was sold just a week after it went on the market. You kept us informed of every detail and returned our phone calls quickly. Your attention to detail and your anticipation of any possible problems made the whole process effortless on our part. We deeply appreciate all you did for us, and would gladly recommend you to anyone wanting to buy or sell a home. We think you are super! PS: You and your family have become valued friends. We want to be sure we stay in touch. I would like to take this opportunity for your effort and hard work in helping us buying our dream home. We would like to place on record our profound gratitude and sincere thanks for the excellent guidance and support given and the high sense of professionalism in which you handled the whole deal. This being our first house, we were looking for someone who could help us in every step of the way and give us their unbiased opinion and not as an agent, as the whole process could get overwhelming. We were lucky that we found you and got more than what we asked for. You have amazing energy, enthusiasm and passion for work. We appreciate the little things you have done for us and love your attention for details. We regard you more like a friend than a realtor. Keep in touch and hope you the best. and we will definitely extend an invitation. We will have an open house. Thanks you again for everything! Thanks a lot for such nice and pleasant words. It was an extremely satisfying experience working with you to find and buy our first house. Now when we look back we realize how your contribution made the process so smooth and easy. With your thoroughness, sincerity, and ethics, you not only met, but far exceeded our expectations as a professional. At the same time with your valuable experience, you were always there as a person to help and guide us through the whole process. We really appreciate and thank you much for the extra mile you went for us. Wishing you every success and happiness, we look forward to work with you in future. Thank you so much in helping us buy our first house. We really appreciate your patience, hard work and thoroughness. We feel immensely grateful to God and extremely happy with the house, couldn't have expected a Smoother Process. May God bless you immensely and may your business flourish more & more each year, we're sure you'll do very well. We will be more than happy to recommend you to all our friends who are prospective buyers. I will be back when it comes to getting a bigger home. Ann has a great reputation. Ann has is very professional and thorough. I haven't worked with a thorough professional in a long time. Ann you are no doubt a great agent!! ks for all your hard work. You are a sweet heart! I thank you very much for all the help. You kept me focussed with the transaction and with paper work as I was moving my own home. I enjoyed working with you We had a great transaction together. Everything went so smooth with our transaction. Ann, Thank you very much and congratulations to you too. Hope this helps add to your portfolio of successes. You deserve all the credit for the creative thinking on this deal!! Thank you so much for helping me sell my home!!! I honestly could not have accomplished the goal I had set for myself, had I not decided to select you as my agent and worked along with you as a team towards getting everything taken care of per the task list and schedules we agreed upon since our first meeting on March 17, 2004. I am so relieved and glad that we got everything going per schedule, so as to get the maximum benefit from the currently strong “seller’s market”! I am particularly impressed by your overall professionalism and getting a Presentation Binder ready for me at such short notice! You did an excellent job of the entire presentation. and your suggestions for “aggressive pricing of property”, as well as your help in recommending the moving company, the title company, and getting the property professionally cleaned and ready for the market proved valuable, as did your personal touch in placing appropriate decorative items in different areas of the house, aided by special signs that certainly helped enhance it’s special features. I am really pleased with the final outcome and couldn’t have asked for anything better! I guess from the very outset, we both went into it with good feelings, and good faith, and for the rest, good timing and “Lady Luck” were on our side, and above all…Gods Blessings! Thank you!!! This is Geno! I wanted to thank you for your help and support to an agent in Los Gatos office.You did a great job! He was able to sell a property to his client because of you.We need more agents like you! Keep up the good work. If you ever need help feel free to call me.Thanks for an outstanding job!!! I must say, that I am impressed by your thorough followup and professionalism. Your stratedy of pricing the house and negotiations were excellent. In short, it was a pleasure in doing the real estate transaction through you. I did'nt have to worry about anything paper-work etc. Everything was done meticulously, and well planned. Subject: Letter of appreciation for helping us find our dream house. We wanted to take this opportunity to thank you for the great work you did helping us find our lovely home. Being a first time buyer we were nervous about purchasing a new house but your calm and confident manner was very helpful in allaying our fears. You did a great job showing us around the open houses and your enthusiasm in helping us find a home that fit our needs and our budget was very appreciated. I still remember the effort you put in to help us negotiate our house price, file or the paperwork, find a loan and other numerous small things. In short you were an invaluable help in our findings our dream house and we would like to show you our appreciation. We will gladly recommend you to anyone who asks us for help and advice on finding a new house and we wish you the very best going forward. You were a good negotiator in the sale of the house for Mr. Govindarajan. A Pat on your back! You are very through and love what you do. I appreciate your great services and am very proud of you. Your hard work, advise, persistence, expertise and knowledge really brought out great results. We wanted to let you know how much we appreciate the services provided by Me. Ann Gupta, a real estate agent in your office. We enjoyed meeting her and appreciate her time and efforts in searching properties for us. She cares for her clients, listens and understands her client's needs. We are so glad that Ann is our representing agent. She is professional, effcient and helpful. Her cheerful approach towards work makes us feel warm & happy. She will be a top real estate agent soon. We believe we will find our dream home very soon because of Ann's excellent performance. It is a pleasure to work with you. We found you very enthusiastic and organized in your approach. You deserve a lot of credit for a successful close in a short period of time for our beautiful Mission Lakes home. Thanks for bringing the personal touch with your camera and our final memories in our first home where we started our family. We, Onkar and Chandra Nath, are very happy to have Ann Gupta as our Realtor, from Realty Experts. She is very experienced, and very helpful. We sold and bought our new home through her. She is very intelligent, and you can rely on her service. We we're very happy to have her as our Realtor. She is very reliable, prompt, and very efficient in her job. You can depend on her. We would like to thank Ann for her excellent service. It was a very tough market. There was shortage of homes. Ann was very aggressive in looking for a house. We made several offers on different homes and finally when Ann found this house we made an offer. Ann competed against 15 offers and got us the house. We love the location and the neighborhood. We love our house and are enjoying it. She is very thorough in her service. She handled everything for us. She is very honest & efficient. Thanks Ann! We will recommend you to all our friends. We are very lucky to have you as our agent. We would like to take this opportunity to appreciate Ann Gupta who delivers a professional service as our REALTOR. After we described our specification during mid Aug'2000, Ann did an excellent job of taking us to various properties in the Tri City area. She displayed enthusiasm and sincerity during our discussions and visit to the properties and never forced us during the entire process. On a couple of occasions she even dis commended properties cause they weren't well maintained and that kind of made us feel that we were in safe hands. During the process she was extremely accessible and never hesitated to put in extra hours for us. We were able to decide on a property by the last week of Sep'2000 and start escrow process without fail by first week of Oct'2000. As a final note we would like to mention that if approached by our friends/relatives we would certainly recommend Ann Gupta as the REALTOR.